Thanks to everyone who participated in our JustRite Friday Challenge #068. We have been very busy working behind the scenes on some new features for our Friday Challenges. We will be rolling these changes out over the next several weeks. Today we are introducing the long awaited Prize Badges for 2012 Winners and Honorable Mentions! This week our judges for the Friday Challenge were Heidi Blankenship, Eva Dobilas, Angela Barkhouse, Kellie Fortin, Sheri Holt, and Kazan Clark. The grand prize winner this week is: Marisa Job. 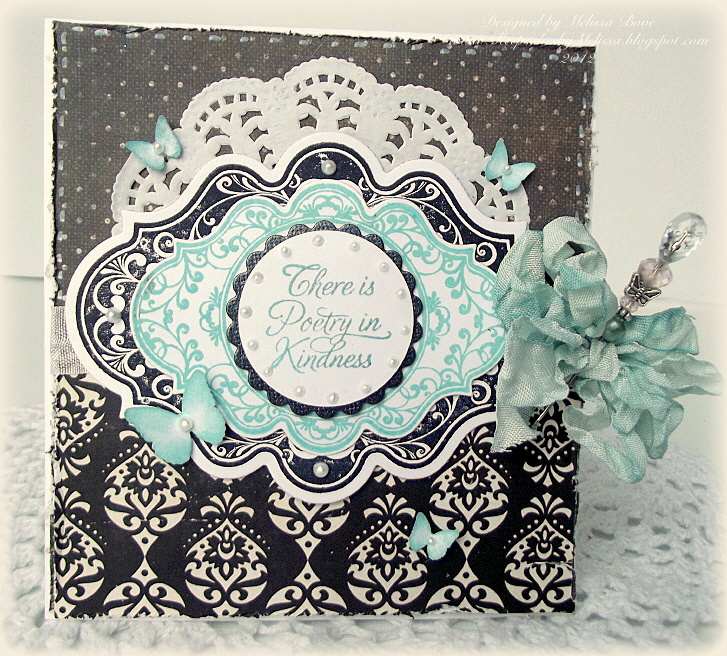 Marisa designed this gorgeous card using Classic Scallop Borders One, Cast All Your Cares, and Kindness. 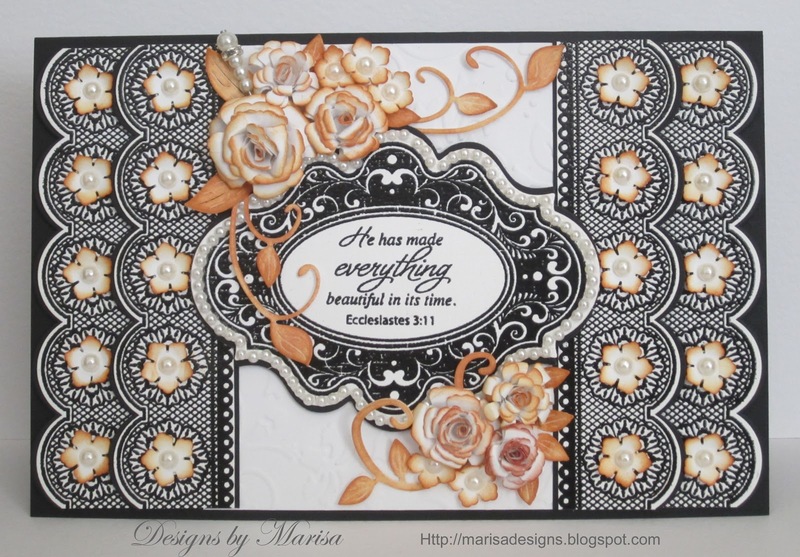 Marisa wins as The grand prize Winner for this challenge THREE (3) JustRite background stamps of the winner's choice! And this beautiful Winner Badge to add to her sidebar!! If you need help loading your new badges contact me. THREE honorable mention winners will each receive ONE (1) JustRite background stamp of their choice! And this lovely new Honorable mention badge to load to your sidebars. Please contact me at kellief@justritestampers.com with your choices and shipping information. 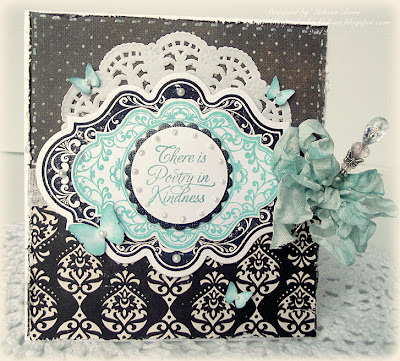 Melissa Bove designed this great card using Kindness. Congratulations Everyone!!! Join us tomorrow to meet our new JustRite Friday Challenge Host. Thanks so much JustRite and CONGRATULATIONS to Marisa, Melissa & Joann!!! GORGEOUS cards!!! Thanks so much for the JR HM button too — woo-hoo — it looks so awesome on my blog!!! Congratulations ladies, your cards are gorgeous! I am so excited about the new JR Friday Challenge button, it is perfect! Congrats ladies. Enjoy your stamps. Congratulations everyone! All your cards are gorgeous! Thank you for the awesome button JustRite!! You ROCK! Wow! I am soo excited. Congratulations to all of the ladies. Everyones cards are beautiful. I will be proud to display the new JR HM button on my blog. I just want to thank everyone at JustRite for creating this challenge. It is the highlight of my Friday. 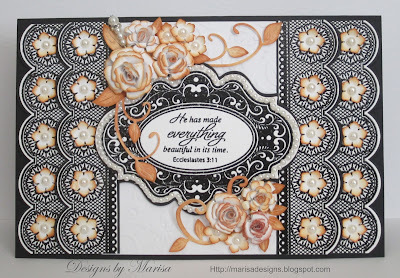 Marisa your card is just stunning congratulations winning first prize you deserved it a great beautiful card..